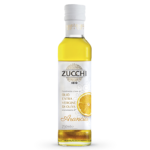 Home / Ricetta / Orange salad with Dolce Fruttato extra virgin olive oil and tuna tartare. 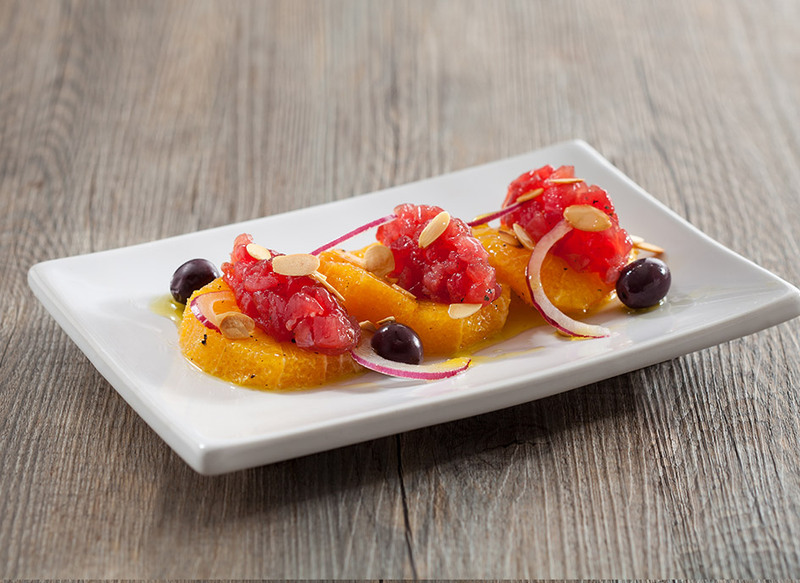 Orange salad with Dolce Fruttato extra virgin olive oil and tuna tartare. Want to become a gourmet with a single recipe? Here's what you need. A perfectly balanced combination of flavours, with stunning presentation. Chop the tuna fillets fairly coarsely. Transfer to a bowl and season with a touch of salt, a dash of pepper and two spoonfuls of oil, then leave to stand for a few minutes in the refrigerator. In the meantime, peel the oranges down to the flesh with a knife, removing both the rind and the skin. Cut the oranges into slices of about one cm, transfer to a bowl and season with oil, a touch of salt and a dash of pepper. Add the Tropea onion cut into thin julienne strips and the black olives, mix thoroughly and leave to stand for 10 minutes in the refrigerator to distribute the flavours. Roast the almonds in a clean non-stick pan and roast for a couple of minutes, stirring from time to time, so that they turn golden brown on both sides. When the tuna has been in the refrigerator for long enough, remove and use two spoons to form it into quenelles. Then serve the salad by alternating the slices of orange with the tuna quenelles. Complete the dish with a spoonful of the marinade left in the bowl used for the oranges and a handful of roast almonds.